I bought “Third Grade Mermaid” for my daughter as a gift when she finished 2nd grade. 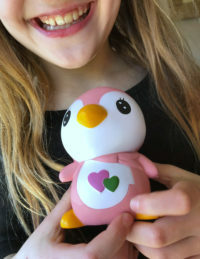 I wanted to get her something to celebrate being a third grader, plus she is obsessed with swimming, so I knew she would love it! 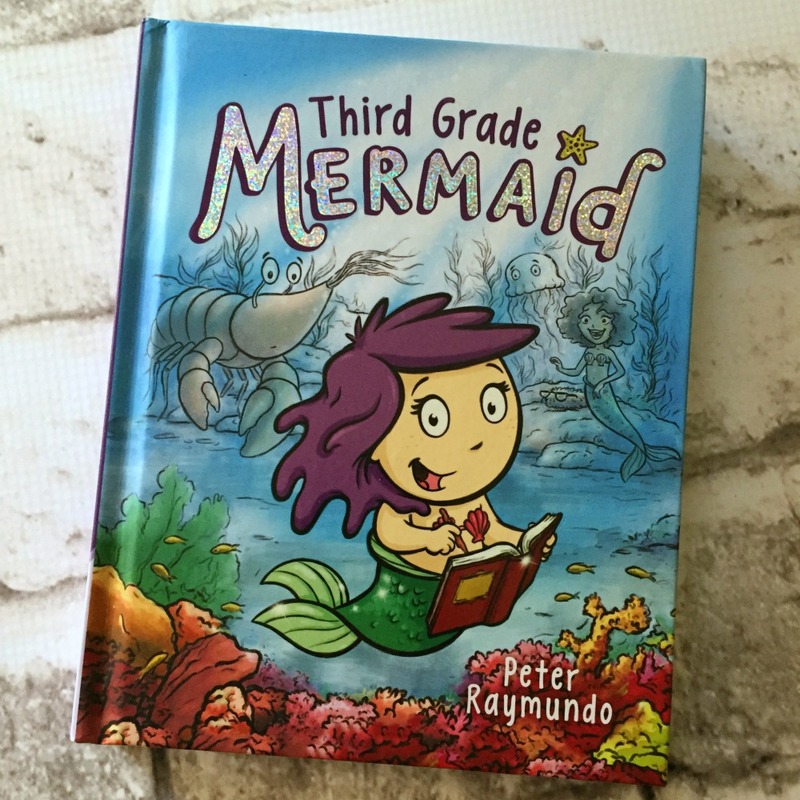 Third Grade Mermaid, by Peter Raymundo, is about a girl (mermaid!) named Cora who lives in the sea with her family. She has trouble with her spelling test, and the book is about her adventures in and out of school. Cora is a mermaid, and lives in the ocean with her family. She has trouble with her spelling test, and wants to stretch her fins a little bit. She takes a nice long swim around the reef and ends up at a place called the Dumping Zone, where there are toxic barrels of sludge. Her mom says to never touch the slimy goo inside the barrels, but she realizes there is something trapped under a barrel – it was a tiny little crab. There are also some people in the book called Singing Sirens and their birthday party. Cora goes on a lot of adventures in this book. 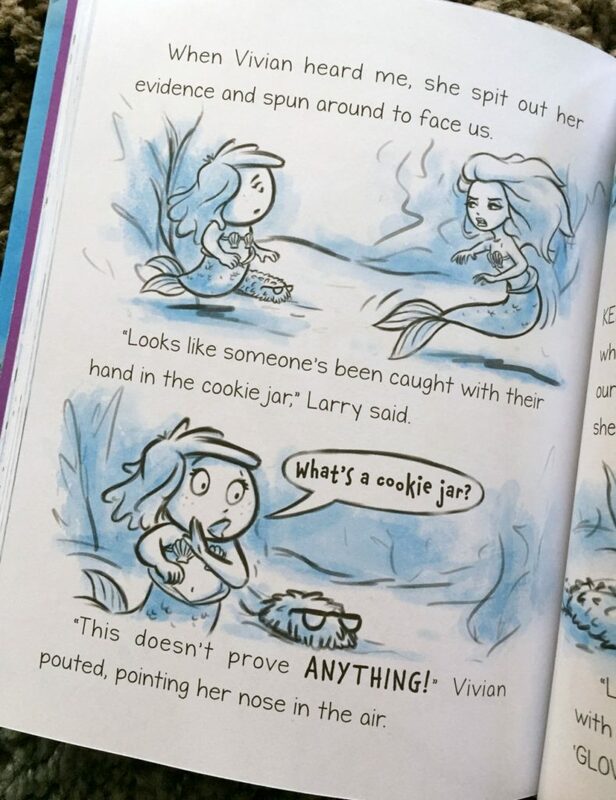 Third Grade Mermaid is a really cute book. 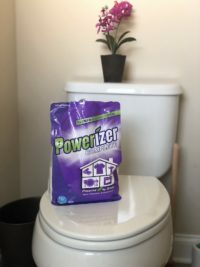 It is fun and entertaining, especially if you have a reader that is just getting into chapter books and could use some pictures to keep them interested. 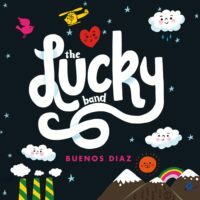 The book is recommended for ages 6-8 / grades 2-4. My daughter really enjoyed this book, and we are excited another Third Grade Mermaid book will be out January 2018. Ha! I just read Clifford the Big Red Dog the first time in ohhhhh 22 years maybe? LOL! Kids books are so funny to me! My daughters would have loved this book when they were that age. I was a big fan of chapter books like this one, especially when the cute factor of the start and art were high. What a fun book! My kids are just getting into chapter books. Always looking to add to our library. SO cute! I love the sounds of this book and my grand niece just entered third grade so I think she’d love it. I’ll have to buy her a copy and read it with her. Sounds like a lovely book especially for the kids who are about to enter 3rd grade! It sets expectations plus it’s fun to read as well! That looks like a really cute book. My girls love to read, and I’m sure they’d love this. They love mermaids. Sounds like a wonderful book for boys or girls. As long as it keeps their attention with a great story line and has great pictures I find they all love a good book. Chapter books like this are excellent for keeping kids interesting in reading. The are and the words that are just challenging enough are perfect. This sounds like such a great book for little girls. My daughter is reading now and it’s so much fun shopping for cute books for her. She loves mermaids so this one would be a hit. Looks like a great read for little ones. The book would probably be a helpful aid for a little one struggling with a spelling test. That sounds like a fun and colorful book. REading is such a great way to escape and use your imagination. I think books that make reading fun for kids are great. What a cute book. I have always enjoyed reading with my girls. “What’a a cookie jar?” made me chuckle, it reminds me of my son every time I caught him sneaking out a cookie lol. 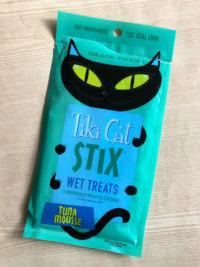 My daughter is in third grade and loves to swim too. This is the perfect reading level for her as well. Will keep this book in mind for her. It does look like an adorable book here with a cute little story with it all. I love the illustrations in the book. I am sure my daugher would have loved it then as well. This reminds me of the Rainbow Fish book! I love books like this for little kids. My niece would absolutely love this, I think I’m going to grab it for her! It looks absolutely adorable!